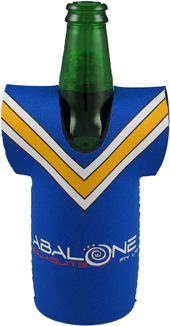 5mm Neoprene Stubby Holder in the shape of a Team Jersey with sticthed anf glued seams. Perfect for any club or sporting team. Available in 33 different colours.